Fifteen years ago, an initiative to unite and narrow the developmental gap between ten countries of varying economic powers in South East Asia was announced to the population. Known as the Initiative for Asean Integration, the six original Asean members; Thailand, Singapore, Malaysia, Indonesia, Philippines and Brunei, began working closely with the four newest members; Cambodia, Laos, Myanmar, and Vietnam to develop a collaborative economic community. Known today as the AEC, this Asean Economic Community will be patterned after the European Union with an aim to establish a single market and achieve global competitiveness by the year 2020. In December 2015, five years before the anticipated 2020 annum of achievement, the official integration of the ASEAN Economic Community (AEC) will mark an important milestone for Thailand and its real estate industry. 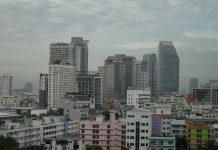 On the way towards deeper regional economic integration and community-building with its neighboring nations, it is yet to be known exactly what changes will occur within Thailand’s local property market; but change is inevitable. The nation’s preparation for any and all impending changes are most clearly seen in the tides of the marketplace, and heard within the speculations of some major players in the industry. Mr. Jo Thitiwat, EVP of the powerhouse real estate franchise, Century 21 Thailand has made several predictions on how the integration will effect Thailand’s property market; both immediately and ultimately, and of course how it relates to the corporation. With Thailand’s central location, existing infrastructure, and developing trends in the industry, the outlook seems optimistic. While open borders doesn’t mean that companies will flock to any particular AEC city, there are several elements working in Bangkok’s favour. Like other major cities in SE Asia, Bangkok has a corporate advantage as well as an existing and constantly-improving infrastructure. However, differentiating it from its competitors is that the local land prices and living costs are still very reasonable, making it the most likely choice of location for new commercial headquarters. 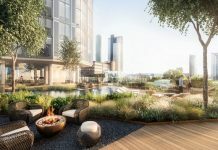 Though an increased demand will eventually affect prices, the city’s convenient geographic location, right in heart of the AEC must not be overlooked when considering the market for the long-term. Bangkok, with its recently renovated international airport is essentially an epicenter of the Asean nations. “The AEC won’t just affect Thailand on a macrolevel; some widely anticipated laws will personally affect both agents and investors,” Mr. Thitiwat said. 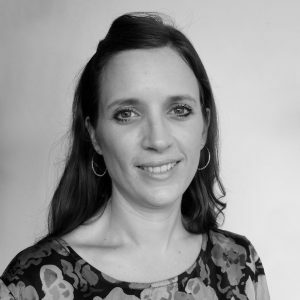 There is speculation that with the Integration will come stricter broker policies. For example, similar to the world’s most highly developed nations, it’s very likely that laws preventing anyone from practicing real estate without a license will be established. This will hugely impact the way that real estate transactions are carried out in Thailand, as currently anyone with access to listings can openly and legally act as a broker. This means good things for property investors as they may be able to put more trust in local transactions. As a preemptive measure to help prepare for the aforementioned brokerage laws, Century 21 Thailand has set up the Thailand Sales Academy. This ongoing, comprehensive three-day course will provide attendees with detailed information on how to preform successful and legitimate transactions, in-depth knowledge of the marketplace, professional and internationally accepted sales tactics and more. With less than a year to go before the official Integration, the company has opened up this course to not only its corporate network, but to all industry members including independent brokers and industry-newcomers. In addition to offering courses at the Thai Sales Academy to the general public, Century 21 is offering similar education and training to select students at a prestigious university in Bangkok. The undergraduate concentration in real estate will help set the stage for new professionals to enter the industry at higher standards than ever before. Education is only part of the company’s preparations for the AEC. After the official integration, Century 21 Thailand will most likely extend its services to fellow ASEAN nations, specifically to those with emerging markets. 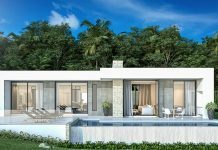 Offering not only brokerage services but also property management and marketing for sole agents and developments, the company has already positioned itself to help neighboring nations more quickly reach the level of development that Thailand enjoys today. Looking into the extreme projected development rates of the emerging Asean markets, Thailand’s presently-developed market is likely to remain comparatively steady. 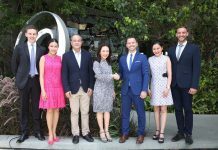 The prospect of lending a guiding hand to neighboring nations is a powerful opportunity for Century 21 Thailand, as it means the company will be able to maintain working with new developments for years to come. 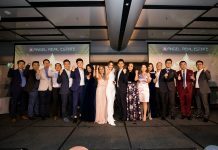 Backed by a worldwide network with a goal to be the leader in Asia’s real estate agency business, Century 21 Thailand is naturally looking forward to the promising developments that will accompany the Asean Integration.